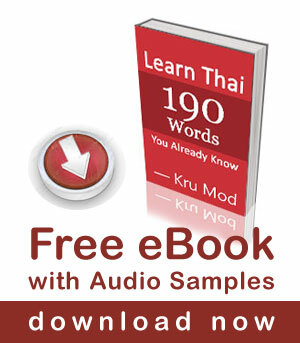 Thai Lesson: I Can Do It! 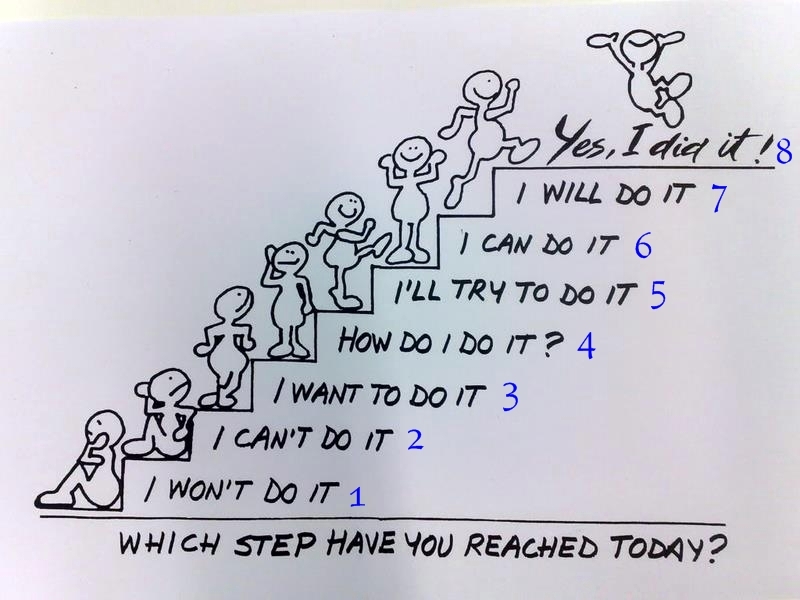 Which steps have you reached today? 8. Yes, I did it! In Thai structure, when something has been done the word แล้ว /láew/ meaning ‘already’ is added after the verb/verb phrase. This picture give me good direction. Thank you so much Mod! This will be my life rule! No! This is my life rule NOW! kor toht daa isn’t number one supposed to be “pom ja tam mai?” with mai being a negative particle? Sawadee krap Kru Mod. I wanted to ask a quick question. Why do you use “มัน” for “it” sometimes, and not for others, as in, ” ผม/ฉันทำได้” or, “ผม/ฉันจะทำ” ? Is it that one statement is a response to a question, in which case, we already know what “มัน” is, and don’t need to use it, or does it matter? I ask because this is an example of how I am not sure of whether or not to use a pronoun or an article, or when it is dropped, or where to use it in the sentence to be understood. Maybe in the future you could do a lesson on word order, or point me toward an older video that discusses that. Kop kun krap, pop gaan mai. Keep up the good work! Sawatdee ka Kun Lance. Apology for my late reply. The pronoun มัน is often dropped because we know what we are talking about just like you said.